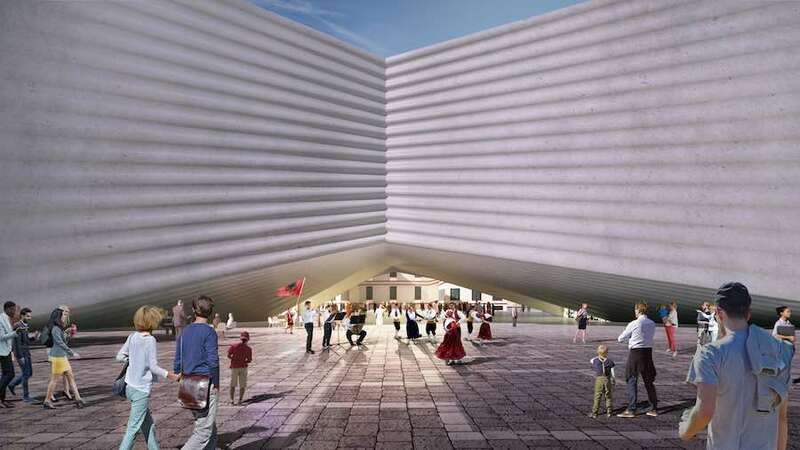 Bjarke Ingels’ architecture firm conceived a prismatic architecture open the city for the National Theatre of Albania in the country’s capital. 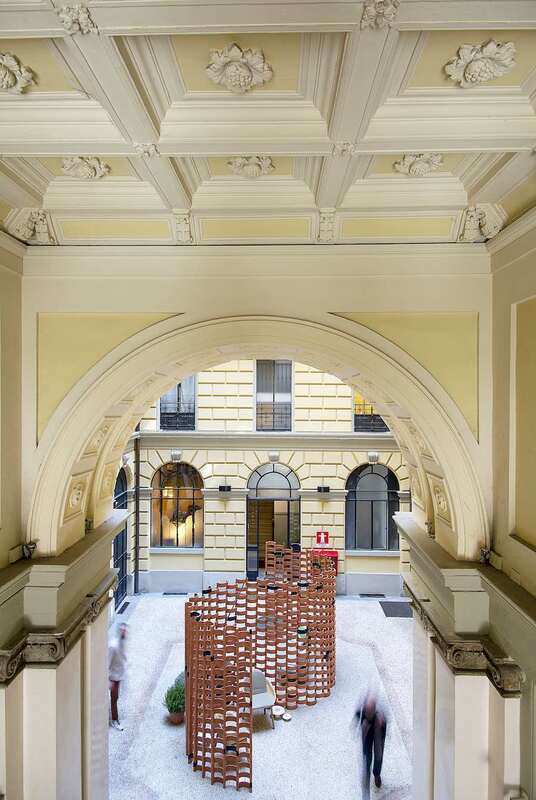 The design arches up from the ground creating a public space for impromptu performances or other cultural events. 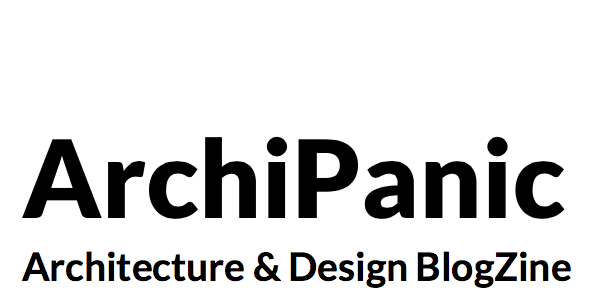 National Theatre of Albania in Tirana by BIG Bjarke Ingels Gourp – All images by BIG. 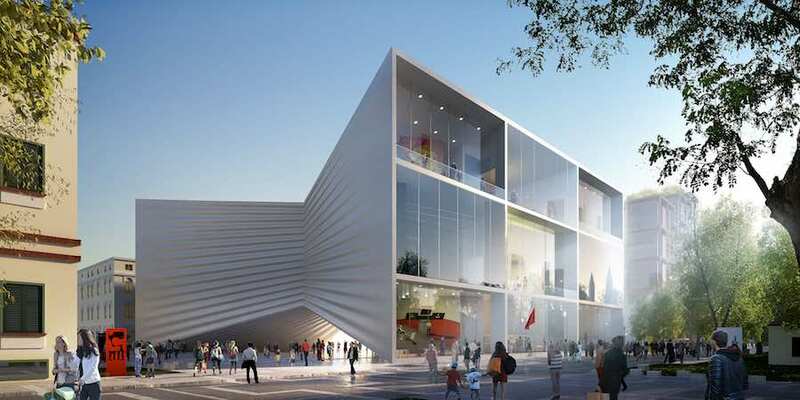 Architecture – BIG Bjarke Ingels Group designs the National Theatre of Albania in Tirana seeking to reclaim and reinforce the city’s goal for more urban gathering places. 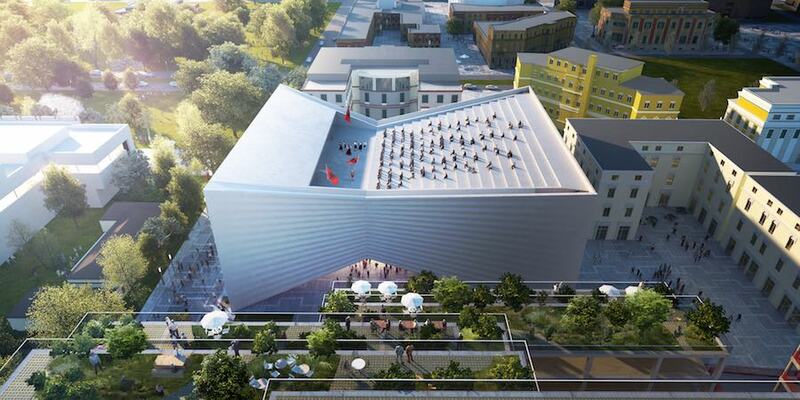 Located in the cultural and administrative heart of downtown Tirana, the 9.300 m2 contemporary venue will replace the existing theatre and add three new indoor performance spaces, a rooftop amphitheater as well as a covered public space underneath the building. 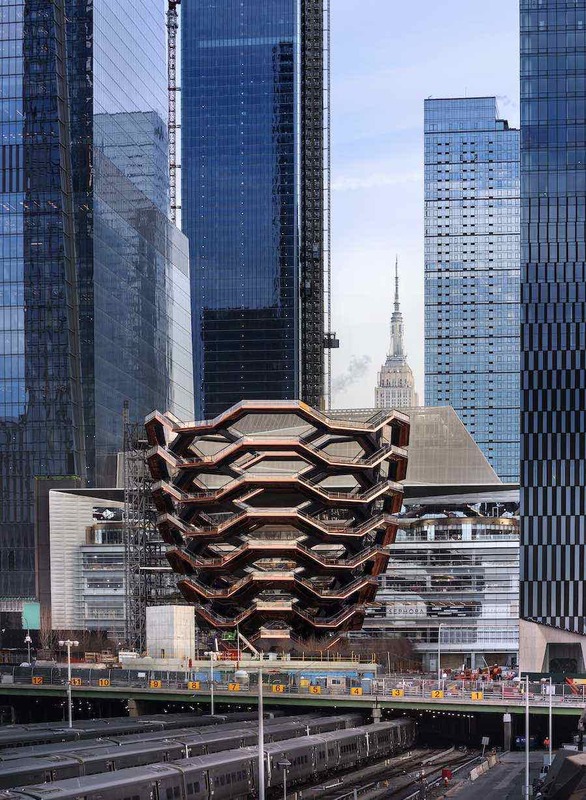 The bow tie shaped volume is compressed and lifted in the center, creating connections and public plazas. 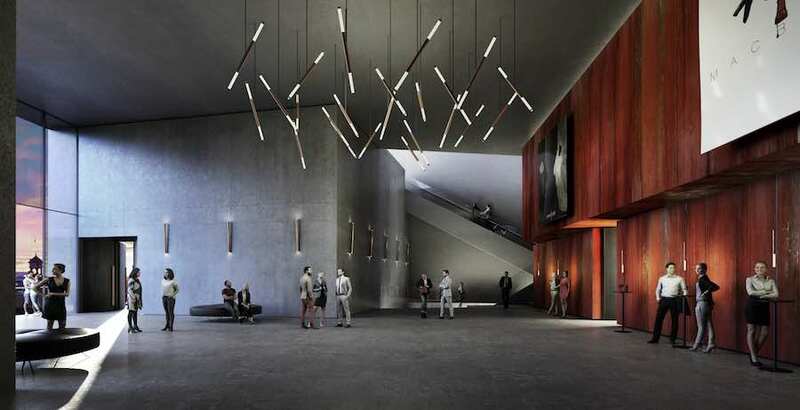 Visitors and theatre enthusiasts can enter the building from either side or simply stay under the arch of the building and enjoy impromptu performances or other cultural events. 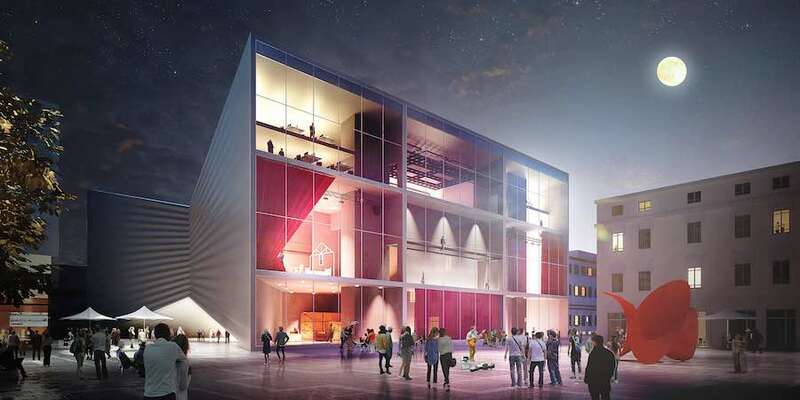 “The theater is conceived as two buildings connected by the main auditorium: one for the audience and one for the performers. 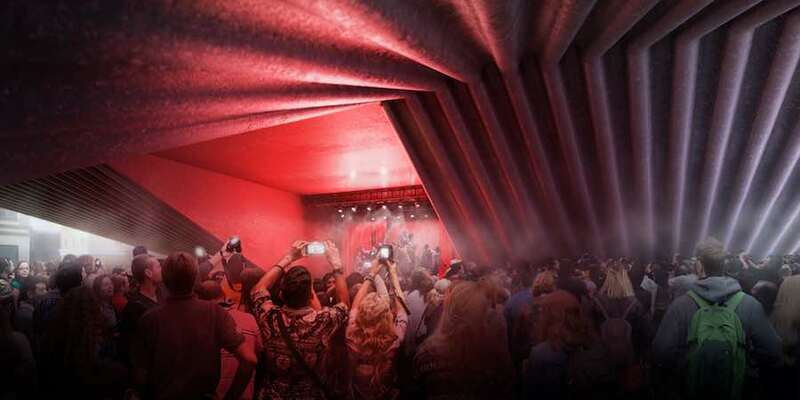 Underneath, the theatre arches up from the ground creating an entrance canopy for the audience as well as for the performers, while opening a gateway to the new urban arcade beyond. Above, the roof mirrors the archway, forming an open-air amphitheater with a backdrop to the city’s skyline.” Explains Bjarke Ingels, Founding Partner, BIG. The main auditorium is located in the middle, sandwiched by the front of house activities facing south and all of the back of house activities and services to the north. The facades on each side of the building reveal the interior program to passersby outside. 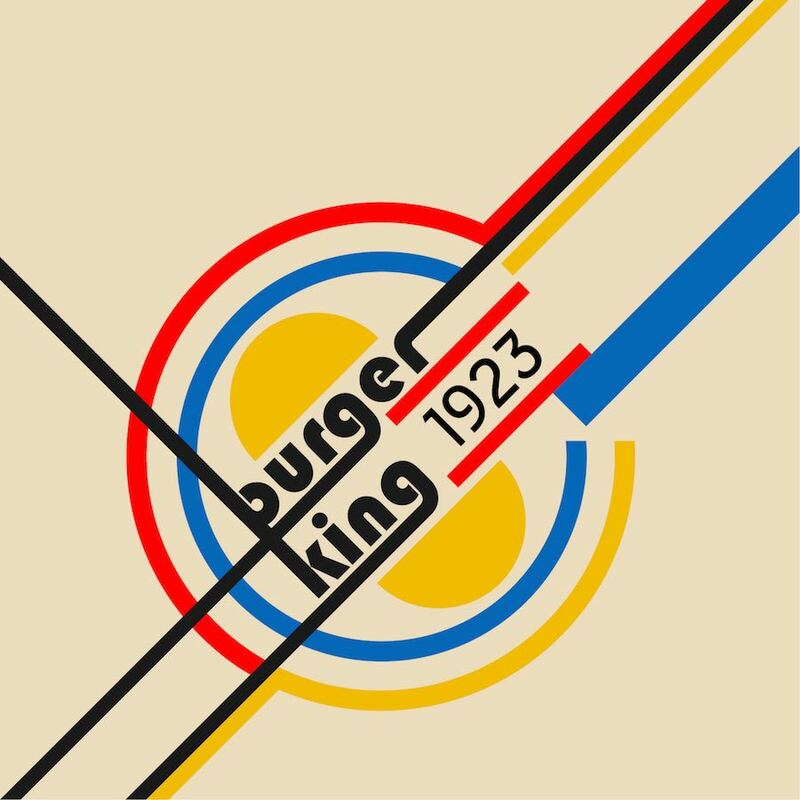 “The other side reveals the entire section of the backstage, side stages, under stage and fly tower, exposing the entire theater machine to the curious observers. 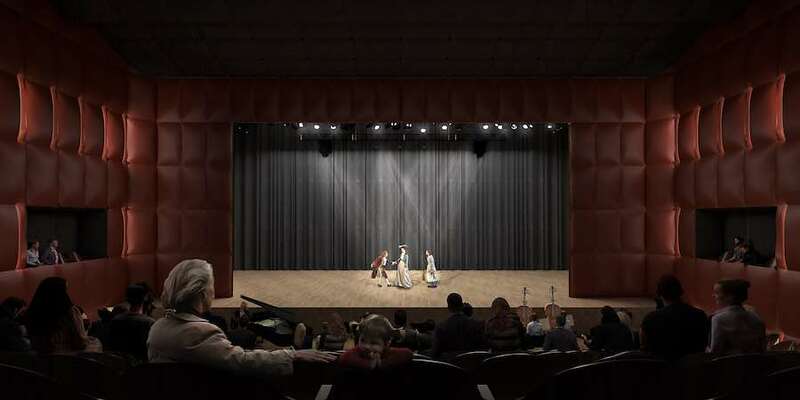 Where a theater typically wouldn’t be open to the public until the early evening, the new Albanian National Stage will become a spectacle of production as well as performance throughout the day”. 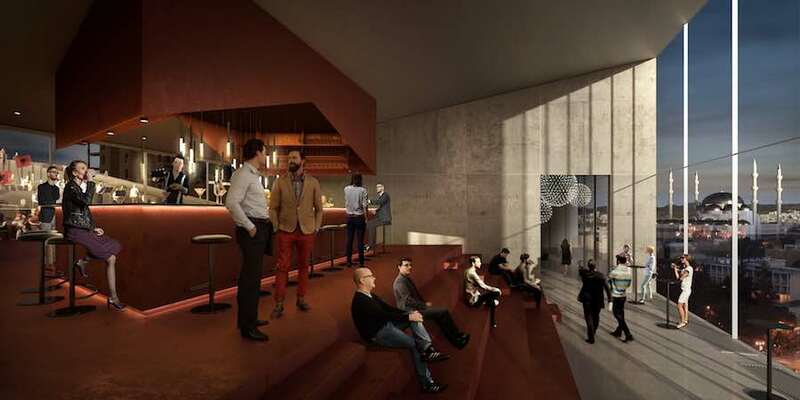 The rooftop venue and cafe of the theatre is accessible via the main stair as well. 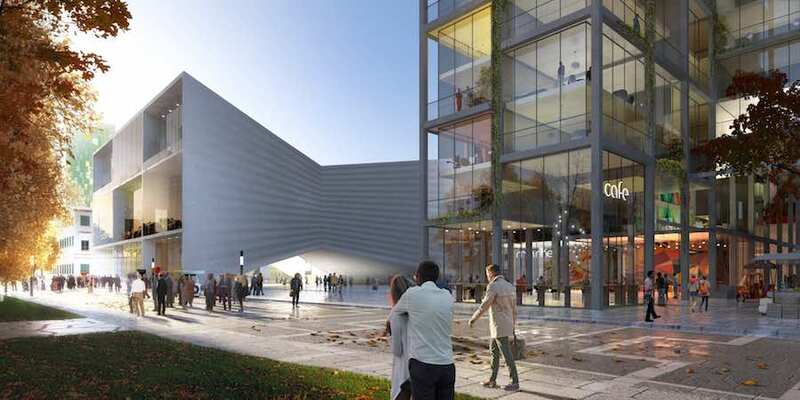 The sloping of the roof creates an amphitheater-like space and is given a dramatic backdrop by the city itself. 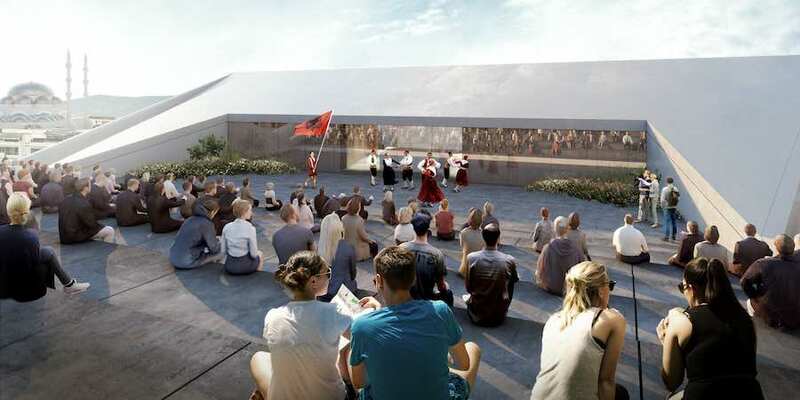 With open venues, one sheltered and one with a rooftop view – and traditionally hidden theatre spaces being exposed out towards the city, the New National Theatre of Albania will be both stage and actor in the city of Tirana. 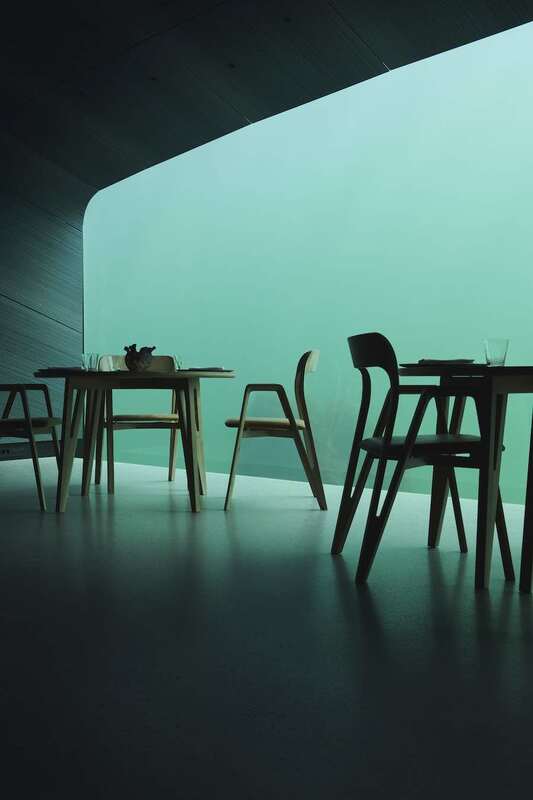 All images: courtesy of BIG – Bjarke Ingels Group.